Simple and to the point, the SMOK INFINIX Pod Mod is a portable and easy of use, 250mAh rechargeable with refillable 2mL pods. Sleek and forward design, the Smok INFINIX is created for easy handling. The Infinix has a built-in 250mAh internal battery with a LED light indicator to give battery life feedback and microUSB charging. Draw-activated mechanism, simply inhale and enjoy. SMOK INFINIX Pod Mod features wattage range of 10 to 16W, 2mL replaceable cartridge designed with side refill with the atomizer core integrated into the pod. 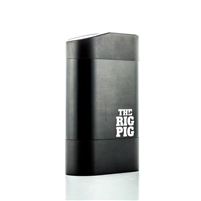 Great all-in-one system for beginners, discreet vapers or anyone looking for awesome design and ease. This Smok infinix is CONSTANTLY giving me a mouth full of the liquid/juice, I also am burning my lip all the time one time was so bad I was truly surprised that I didn't have a huge blister on my lip it was crazy! I bought it Friday and am hoping that later today (Monday) my shop will make it right and let me return so I can buy a different device. Im going to get into a box mod this time around!